BABY-SAFE & BABY SPECIFIC: targets sticky hands and fingers from mealtime and playtime! foams ups well, and my grandson loves it. My toddler loves using this hand foam. It makes him want to wash him hands. It is a light scent and I probably would prefer an unscented one, but regardless it is gentle on the skin. Works well and smells fantastic! 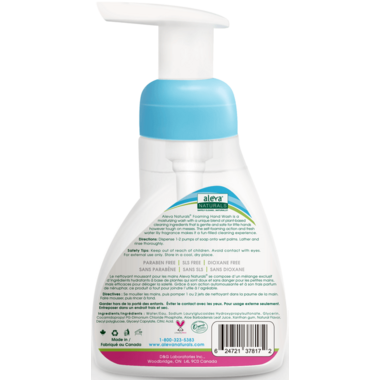 Just like all the other Aleva products, this hand soap smells good and cleans well without a chemical smell.